For us, when we designed this product, it’s not about the hardware or the technology, it’s about the daily life experience for the kid. So start from waking up in the morning, toothbrushing, eating breakfast, you need to eat more Broccoli, right? And then like, uh, some game time or maybe a quiet time during the afternoon and finally the bedtime routines. So we designed this product for that daily experience. The startup investment landscape is changing and world class companies are being built outside of Silicon Valley. We find them, talk with them and discuss the upsides of investing in them. Hello. Hello. Hello and welcome to the upside podcast, the first podcast finding upside outside of Silicon Valley. I’m Eric Hornung and I’m accompanied by my cohost, Mr. Lamborghini chair himself, Jay Clouse. Jay, how’s it going man? Well, if you’ve ever sat in a $30,000 massage chair I have made in partnership with Lamborghini, you know how I’m doing and it is great. So we were at CES, we are at CES. Can you tell people a little bit about that. We are Media. Wow! Look at that. We are media upside on the come up here as broadcast media partners with CES and so because of this amazing badge with the yellow stripe, we are able to go in the backroom of body friend and enjoy a $30,000 massage chair massage. What was the $30,000 massage chair massage like? What made it so good? I will say it was amazing. Was it $30,000? Amazing. I don’t know. I mean I think it’s got to be durable. I gotta have it in my house. I got to do it all the time, but it’s honestly the best part for me was the feet wraps the feet wrapped my Achilles tendons. Did you feel it in your tendons? See, I liked the shoulder the best. Do you like the shoulder? I like so it kind of pinned back your shoulders because a lot of things that. The one thing I don’t like about massage chairs is when the like when you get a lot of pressure on your back, you have to like get pushed forward. Yeah. It’s hard to avoid. You lose a lot of the pressure, but when you get the shoulders pinned down and that, then you get the pressure in the back. Oh yeah. Money. Yeah. That is the hard part about massage chairs. I never know if I should just ragdoll and relax or if I push back against the lower back pressure. I struggle with that, but it was great as somebody who has low stress as told by this massage chair and it has sensors that tells you if you have high physiological stress or mental stress or whatever. I have low stress. Eric arguably has high stress. So the guy who was working the massage chair room it, it reads through an ECG, your finger fingers and like gives you a readout based on your muscle tension and your fingers and all this technology like what your stress levels are and he goes, don’t worry about it. I’ve done thousands of these. I’ve only seen three people ever with high stress and mine comes back and it says normal stress. That’s the read out and he looks at the bar of how high up the normal goes. And he goes, oh, that should be high stress. And I was like, but it says normal. We’re staying with normal. I’m not stressed out. Okay. Leaving that chair, did you feel less stressed? Leaving the chair, I did feel less stressed. I felt comfy. I felt cozy and I think that that kind of leads into what we’re talking about today. We are talk about cozy, what is more cozy than being a child? What does more cozy than falling into a forefoot Snorlax looking thing? Yes. What that’s going to go on twitter. I was going to go in the show notes. Eric hugging a snorlax sized Woobo. 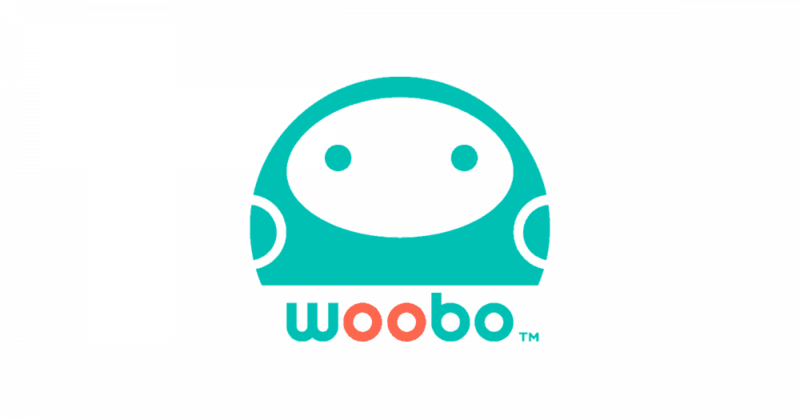 Woobo is our guest today and we’re speaking with the co founder and CEO of Woobo, Feng Tan. Feng was a research assistant at MIT previous to founding Woobo and he studied multi agent synchronization, nonlinear control machine learning and robotics, which is a perfect lead in into Woobo, which was founded with one goal in mind to bring children’s imaginary friends to life. Woobo is a plush toy with a nice touch screen that gives the toy personality and is meant to be a companion for these children and children ages three to nine, three to three, to eight. Actually, it reminds me a lot of a furby. And I don’t know that I want to bring that up to him because Furby has such a bad connotation with it. Did you have a Furby? We had like three of them and they just sat in our back room and chirped all night all the time. Hey, I am Furby chirp chirp chirp. Oh my God. The worst thing in the world. They were Furbies where the gift to have Christmas of 1990 something. Yeah, that’s true. If you didn’t give your kids a Furby, you were terrible parent. Yeah, and I didn’t get a Furby. I don’t know if I even asked for Furby, to be honest I’m not. Did your sister asked for Furby? I don’t know. I don’t know. We weren’t a big gift family. Okay. See now we’re getting off course with gifts, but this would definitely be a great gift for the recent Christmas season. Yeah, so Woobo was founded in 2015 is based in Cambridge, Massachusetts. It has raised close to $7,000,000 in funding at this point, including a crowdfunding campaign. It’s a very cute, soft looking toy. When Eric and I signed in to CES and got our media credentials, they had a case that had what looked to be an imprisoned Woobo in the case and we asked, hey, we’re interviewing that company. Can we see this? And the guy looks at us. What did he say? He goes, I don’t think so. We said, okay. Walked away. So, but we did get to play with some Woobos before the interview. Yeah, we did get to play with Woobo. We have some great photos from this interview we’re excited to share with you so we’re gonna jump into the interview here with Feng, but if you guys have any thoughts on this interview as we’re going through, please tweet at us @upsidefm or email us, hello@upside.fm. Hey guys. Wanted to cut in here real quick and let you know about something. Jay and I have been getting ready behind the scenes in 2019 when we started this podcast. Jay and I said that you, the listener, will have an opportunity to learn in real time to think like venture investors with us as we meet a wide variety of personalities, examine a wide range of industries. Well now we’re going to share something new and it’s a little different. This new idea is called the update. 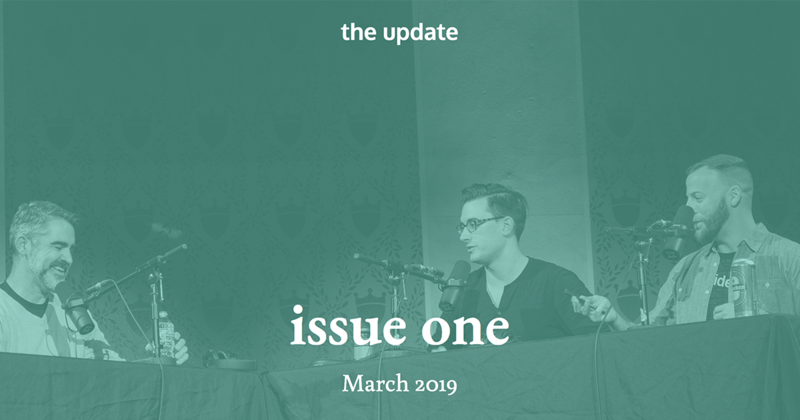 It’s a carefully curated quarterly publication of editorials, trends, and stories happening outside of Silicon Valley. Jay and I will be writing stories about what we’re learning about on the podcast. Have guests editorials on interesting topics and share news and updates from our pod co’s. In some cases, we may even share some exclusive content or first looks. Our goal is to stay at the cutting edge and of course bring you along with us. We’re super excited about it and know you’re going to love it. If you want to be the first to hear about our Q1 launch and subsequent letters go to upside.fm/update to get on the mailing list. Feng, welcome to the show. It’s great to have you here. We like to start on upside with a history of the founder. So can you tell us about the history of Feng? Yeah, yeah. You voluntarily in jail. So in my fourth or fifth year I thought. Okay. Anything I do rather than research, it’s good. Yeah. So that’s where. What year was that? Tell me, talk to me about the timeline. When was, when was a MIT? It was 2010 to 2016. Yeah. And around 2015 I really cannot focus purely on research animal, so just try to find some side products or something fun to develop. So for the listeners, [inaudible] is like one of the best schools in China. It’s an incredible school. So me facing Nihon Song [inaudible]. Yeah, yeah, yeah, yeah. Very good. Chinese. [inaudible] is so called the MIT in China. Yeah. So you did MIT in America, MIT in China. Just knock them both out. Right? Yeah. And it’s, it’s quite weird. It’s like after I got through MIT there was one very weird ranking of what universities and [inaudible] got higher than MIT. So so far we don’t believe that ranking. It’s okay. Eric and I went to a state school. So pretty much anybody could get in. So talk to us about growing up in China. What was that like? It’s very different from US. So growing in China you will have a lot of pressure for entering the college so there will be a lot of cost works instead off really so much like extra curricular events or activities. So that’s why like for me as a Chinese students. It’s only after I entered the college I tried to develop more about my interest or like a what’s the passion for my future career before that I was just like some nerd working on math and math and science stuff. Yeah. So the college actually opened up my eyes and that’s when I decide I want to study abroad to even further explore. And why did you pick the United States versus anywhere else in the world? It’s the, I think it’s the dreamland for science and technology is you’ll see all these great companies, these great products and inventions coming out of US. Even since I was in junior high, I was already a huge fan of robotics and that’s where you’ll see Boston dynamics, iRobot, you know, they all come from US. Yeah. And how did you get that first exposure to robotics to even know that you’re interested in it? Yeah. The, the sad story is my father is a robotics engineer, so my toy was robot manipulators. You know it’s like, it’s very weird. It’s not any race car. It’s a robot arm. Yeah. So he would just twist that a robot arm, make something fun. So that’s first the one. No, like wow, robot is something that might be cool. And then it’s a lot of Sci Fi, fiction novels, like a drew’s Vernay. And these kind of thought was open up my mind. And then R2D2 these pop culture stuff. So talk to me about that time at MIT. You said it around 2015 or 2016. You had to stop just studying and find something to like kind of apply to. So how did you navigate that time? Like how did you decide what you wanted to apply some of this knowledge and experience to. I think actually one was a PHD. There was some confusion is about the theory or research I developed. Can they be putting into real practice? So during that time I got some interns from local startups that’s first given me some sense of how can knowledge be put into use. One company was using a rumor like robots to move the pots in the greenhouses and the other is to make an active suspension system for automobiles. So efforts give me some sense of practical use of knowledge. And second I get to have a taste of the startup culture and even if I haven’t been to any big company before, but I can sense that. I like the small team and startup atmosphere already. That’s awesome. So tell me more about the research itself. What were you studying? Yeah, so for for use the lab was called nonlinear control systems. So we make a control theory to make sure the robot moneymaker, manipulater can move from point A to point B in a stable way. Your expected way. So nothing weird will happen, but we’re also trying to find some connection between traditional control theory with modern machine learning techniques. So for my PhD thesis is about some new algorithm for autonomous driving. That’s fun. And I didn’t go to any graduate school yet and maybe I never will. I don’t know. But if I did I would look at a school that I knew the people I was around would really push me. So talk to me about the atmosphere of being at MIT and what people there are like. What was that experience like for you? The first experience is I don’t think I, I will have any hope in academia because they are everyone are like super smart, you know, it’s like I know I’m smart but they are super smart. They only take a look at some equation they have the answer. So I know like I, I cannot outsmart them in these radical research or like I’ll even compare it, like even my passion cannot be comparable to them. Like they kind of lock themselves in some dark black rooms and uh, really enjoyed doing research. But for me like I like a lot of fun social life and a, all the new things happening in this world. So on the other side MIT is always an exciting place. You’ll always hear the newest things like it, CEO of Moma, I will come to share some news, new understanding of autonomous driving or like Nobel prize winners will come and share their research that, that might be applied maybe 50 or 100 years later. So it gives you the sense of a future or like, uh, the frontier of human understanding. That’s really cool. So you’ve talked about autonomous driving a couple times. You said to your research kind of blended into that field, why didn’t you go down and autonomous driving path? Yeah. So I think that there was a interest in saying it’s like the more you’ll know something, the more difficulty you will understand. So for me, like it’s because of my research is autonomous driving. I know the certain limitations of current techniques and also for me like the startup I work on now, it’s kind of my childhood dream or like a very personal passion. So I guess for me, why choose a future career? I followed my heart more to follow their passion rather than really conquered how can I make my expertise better use. I want to get into that passion in a second. But first you mentioned that there are some limits in the modern application of autonomous driving. What, what are those like what? As someone who understands it infinitely better than myself, I would be really curious to hear what you see as the limitations on autonomous driving because when we read the Wall Street Journal, like it’s like, oh, it’s coming. Five years done, it’s going to be here, right? I think just yesterday, a Tesla just like running into a robot on the street, right? Just at a CES. So for me, both myself and my advisor at MIT, we believe in something more elegant and simple. So I think for autonomous driving in the past few years, the algorithm itself hasn’t been developed into that direction. It’s more about some heavy competition and how to better harness the competition power. I’m not 100 percent convinced about near future huge progress, but I think there are a lot of really talented people working on that so at least we won’t need to really drive while we are highway. I guess in a couple of years, but comparing to a passion that limitation might just be a minor effect. I’m going to keep going down this side path a little bit because it’s interesting to me too. I spend some time just studying the smart city space, super brief, super brief amount of time, but I’d love to hear from you what you think of like practically how will self driving even integrate into the world? Are we going to be retrofitting old cars? Is there going to be a time where there’s self driving and non self driving cars on the road? How do those manage like to me it seems like the in between time of now versus every car on the road is self driving is very difficult for me to understand or navigate. So I’d love to hear just your perspective. Yeah, you. My personal feeling, I think there needed to be some very huge change of everything. So first the one it’s autonomous driving. You don’t need to have the wheel. I mean ideally if it is real autonomous driving so the car itself should be changing and may have larger touch screen so we can watch movies or like a computer is to do some work on the, on the road. The second is the current road or traffic system is fitted with this traditional cars. It’s like a why while we were riding horses, we don’t have these highways and now cars with highways, the like a drill ways fall, fall, fall, the trees. So for autonomous driving, what should be the infrastructure? I think that will be some very interesting topic. Combining infrastructure development, how you build five g technology and on the artist side, like I think it just last [inaudible] Toyota was saying that they are not a car company anymore, they are like traffic solution company, so do we need really need one moving part and one carbon for each car. All the wind just only need to share. These cars are kind of see a lot of change in the next maybe 10 to 20 years. Something you just brought up was our sort of highway infrastructure in the United States around cars and that is very different from the rest of the world in terms of how we set up cities to accommodate vehicles versus setting up vehicles to accommodate the way the city’s worked, which is true of most European countries. Do you think that autonomous vehicles in an autonomous city is more likely to start in the United States or in some other country? I’m not 100 percent sure here. If if I take a guess, I think it might happen earlier. In some, In some developing countries because they have not immature infrastructure so it can start something new from scratch. One reason is that, for example, in China, the e-payment system is very advanced and developed. It’s because we don’t have mature credit card system right by US, so rather theory slower. So if I take a guess, I would say it may not be US to have the first future city. So let’s jump back to your childhood. You mentioned that you had a lot of autonomous cars, a lot of future. All right. Now let’s go back. You said that you had this kind of childhood dream of whether it’s a company or a product, it has that manifested itself in what you’re doing now? Is that the idea and then what was that childhood dream? Yeah, I think so. I think while I was a kid, there was a Japanese cartoon called Doraemon is a kind of bluish cat coming from the future. It can provide emotional support to the main character and also take him all around the world with some magic door going into anywhere. So that’s where I think, wow, it would be a magnificent day if you can. Some have some companion or like a little buddy who isn’t your brother or sister and not your mom and dad and they have some magical power stuff so later like while I was growing up, you can see all these pop culture movies like a, even R2D2 doesn’t talk. You’ll still want to have one right. And baymax the minions. So I think for me the dream isn’t anything really about robotics. So like what’s the Imagine all the Ai, artificial intelligence is about Hong Kong where you have a talking puppy and now the puppy can talk with you and share some stories. You, you would talk with him and learn his magical part of the world. So I think that will be really interesting and it’s kind of like a virtual life or digital pet. I just got a real puppy and I wish it could talk because Oh my God, he’s in the house. Poops. Well doesn’t poop in the house. That’s a good thing. But it does pee in the house and it would be very nice to know what he means when he’s barking. And it would be nice if you didn’t have to pay for food or clean up after it at all, which I assume is the case with Woobo. So before I dive into more specific questions about Woobo, can you explain what Woobo is? Yeah, so far us Woobo is a smart companion robot, so it’s fluffy outside and smart inside. It has a touch screen, it has a voice interaction capability and that’s where we want to both find some companionship and emotional support for the kids to inspire, encourage and also somehow like a guide the kid to learn more stuff and answer their curious questions or help them to explore different possibilities. So for the emotional part like brushing teeth alone might be boring, but what if you have another cartoon character brushing the teeth of a giraffe is two minutes for both Woobo and for the kid and for the exploration part is like what is the day feeling if you are a firefighter or maybe if you are opening a pet clinic in some magical wonderland. So it can be some digital experience and the interaction going on [inaudible] case to better understand their. So for the listeners who haven’t seen this, the Woobo I would say is about the size of not quite a basketball. Kind of. Yeah. A little bit smaller than a basketball. Volleyball is probably a better estimate. It has a screen on the front of it that is probably about half of the total surface area of the front. And so that screen, I’m looking at the website right now on one screen. It has the eyes and a mouth and so it looks like a very complete, just like character and on another screen I see the Woobo itself has an image of the Woobo in it brushing his teeth. So talk to me about the screen and the breadth of what it displays. So uh, so for us just to give the audience an easy to understand concept, Woobo is caught by a lot of other people as smarter Furby. When I’ve been to describe this to people. I’m like, it’s like a Furby but like it has a screen on it. And it doesn’t Chirp all night. We had three of them that would just literally sit on a shelf and chirp all night. I was like, why do, why do we even have these things? Okay. Well, while we’re, while we’re on the furby route, did you have a Furby when you’re growing up? Because it’s probably about the same time period that it was in my life. Not For me in China, but I had a Tamagotchi that. Yeah. Yeah. Furby I remember was so hot when it came out. So impossibly hard to find. So what did you learn or what have you learned since about what Furby did well, maybe did not do well. That’s helped you. Yeah, I think that’s the very good question that sometimes the wha wha, what will we ask back to the investors? Because when you are opening startup and you pitched to a masters? They will ask you what is your need right? What’s the customer pen and, but why don’t you take a look at Furby? What’s the customer pin? Why do you keep a pet a puppy or a cat? So I think there is some intrinsic emotional need that people want something alive in their daily life and can be a little bit lively, not too noisy and kind of smart. So that that’s why when we try to find that tech landfall Woobo would say smart and goofy always together. So that, that that’s the kind of inspiration we borrowed from Furby. The design. Is that the first design, is that the V1 design or did you go through a lot of designs to get to this product? Yeah, we’ve had a lot of design. So actually when we first founded the company it was two nerdy engineers, one robotics, which is myself and our article founder. Well, what’s the phd? Artificial intelligence, especially natural language processing. And the robot we made was looking like a terminator. Nightmare fuel for the child. Yeah. That will scare the kids to cry. And that’s why we find a designer from RISD and he is kind of the magical hands here. Will turn terminator into huggable teddy bear, you know. So you guys have two MIT, MIT, PHDs and RISD for the people who don’t know. That’s Rhode Island School of Design, which is the number one design school in the world. That’s a pretty solid team. Yeah. Actually, uh, one MIT, one [inaudible].Yeah. One RISD and then we had a lot of Harvard key members. Yeah. Very cool. And then the name Woobo. Did that go through iterations as well? The two O’s in the middle. You have highlighted by a different color. Is that kind of to call attention to the eyes of the robot? Exactly. Because we think that that’s also our theories. Like if everything, if you. My ideal design, I think of voice, facial expressions and body movements would be three key factors fall, making you feel it’s something alive but during the development. We dropped the body movement for later development. So. But we still keep the facial expression, that’s where you’ll see the personality. Only physically. What is the breadth of what I as a child can do with this toy? Yeah, how. What are the different ways I can interact with it? What can it do? Yeah. So the kids can ask Woobo questions, they can have a simple click on the ear will make this apart, which after the activation word or like a higher excess stuff because we want to keep the privacy and safety. So it’s only when the kid click on the ear the robot will start listening. The kids can say, why is the sky blue? Tell me a little story. Do you feel happy today. So it can be voice interaction, but we do find that the case are already super familiar with touchscreens. So once we send a robot to their hand, they will poke here and there on the touchscreen. So we add in that interface for the touchscreen and that’s easier for the kids to make choices. For example, we have the mad libs game on Woobo. We ask, oh, what’s your favorite super hero, superman, Batman or ironman. So the kids can make a simple choice and that will be the superhero later appeared in the story. What are the ages of the child that would use Woobo? Yeah, so we developed the robot targeting at three to eight years old kids. That’s our best, uh, age range. But we do see customers, I’ll say users that can be younger or a little bit older. Yeah. When you were doing your first tests of this, what were some of the surprises you found? I’m guessing you started with like a small kind of focus group or maybe like 25 people. I could be wrong, but if you did do that, what were some of the initial feedback pieces that surprised you? I think it’s so the first thing I kind of came into my mind is the power of being huggable. Why don’t we divide up the robots? We think, Oh, if it can we go a little bit. I’ll maybe move the arms. It will be fantastic, but I worry kid or parent one day have the robot. They say, oh, it’s so soft, so it’s I think soft softness itself. It’s on power it gives. It close up the distance between the user and our product and also it provides them some emotional support, so that’s where we find let’s not be postmarked as a robot that’s be a little goofy and a soft and cuddly. So for this, for this toy to be the toy that a child grapples onto as a quick aside as a story, and I have four nieces and the oldest just turned nine, so for the past several years at Christmas I’ve been trying to find a toy that they would like and I buy something that’s soft and cuddly. I think they’re gonna love it and they pick it up, they throw it down. It’s not the toy of choice. How does Woobo become sort of a toy of choice for these children versus a gazillion plush toys or anything else out there. We think it’s three parts. So the first the appearance, the appearance itself is cute and cuddly. It’s like once you see it, you want to have a touch of it. Then when the screen lights up, you’ll see the eyes, you’ll see the facial expressions. You get to second secondary surprise. Oh, it’s alive. It may have some personality or characters back there. And then third, it’s about these interactive contents. The, these can be choose your own adventure games or maybe a make believe stories. And we also have carefully curated songs and stories from our partners like a story boss and pink fall To make sure that digital experience and the physical experience Kinda how, uh, the best combination. So one other things thing in terms of like competitors for children’s attention, Jay just mentioned other toys. One thing that I’ve seen and have heard through some of the other interviews we’ve done in this podcast is parents inclination to give their children ipads to like get them to shut up or to get them to behave. Is this a substitute for that? Is this supplemental to that? Like how do those two things interact? Yeah, so for us we think a Woobo is kind of the first electronics that kids are supposed to have because when we develop, well one like Apple develop a iphone and IPAD, there won’t design for the kids. So you cannot drop it, you cannot hug it, it cannot be the nightlight when the kids go to sleep. So for us, when we designed this product, it’s not about the hardware or the technology, it’s about the daily life experience for the kid. So start from waking up in the morning, toothbrushing, eating breakfast, you need to eat more Broccoli, right? And then like, uh, some game time or maybe a toy time during the afternoon and finally the bedtime routines. So we designed this product for that daily experience and that’s where we think it’s electronics, specifically developed for the kids that can also give the parents, uh, the assistance and the control they would need. So this seems like this is a big undertaking for you. You’re spending a lot of time building and creating this business around this toy. Talk to me about why you ended up pulling the trigger to do this versus working for another toy company or you know, why entrepreneurship for you? I think the first part is the passion itself is like a, I want explore this opportunity. The second part is the surprising feedback. When we first uh, took some Woobo prototypes to kids homes, there there were a lot of bugs like the screen go dark and it will say, you need to wait a little bit Woobo is just sleeping and you see the kids put her small blanket on the robot. Oh. They say, well Woobo cannot get cold. Or maybe they put a little crown onto the Woobo’s head because we we made Woobo gender neutral. But we don’t say it’s a him or she. But when we asked the kids, do you think Woobo is a girl or a boy, the kid say I think as a boy and they put a crown will say now she’s a girl. So we see a lot of magical moments there and these feedbacks also in inspire and encourage us and third part is we got found supported right after we got out of the MIT accelerator. So that also gives us some confidence of a further pursuing this opportunity. What is the MIT accelerator? MIT has the Martin Trust Center, which is the entrepreneurship center that coaches the students with a startup ideas or products and every summer we have a selection of 10 to 15 teams. When we got selected is called global founder’s skill accelerator, which is super long and now they call it Delta V.
Yes. Super Short. So that’s a three month program and the program was totally free for all the students and it guys asked for market research to make sure your idea isn’t just some random idea is really needed by real customers and what is the business model around that. And that really helped us a lot even when we were at very early stage. How many companies go through the accelerator and then how many get some level of funding? I think we have around 15 teams each year and we should be having five to seven cohorts already. So coming out of that, you said you got some funding, did that come from the accelerator or people attach the accelerator? Where’d that come from? Yeah, so the accelerator itself will give us some a kickoff funding for us that year it was 20 k. yeah. And after that we’ll have some demo days both in Boston, New York called the bay area and that’s where we get in touch with some investors. That’s great. So to this point, what level of funding has Woobo raised. So when we first got off the accelerator we raised 800 K as a seed, a seed round and after that we had the annual round and round in total we have raised around 7 million US dollars. And what is the majority of that money going to? Is it hardware? There has been mainly three parts. So at the early stage it’s more like about a human cost, so we need to do recruiting and the pay the talents and second we do outsource some of our hardware development because Shinjin China has very mature supply chain for hardware related products and third is about some marketing preparation so that we can get more people to know Woobo, especially during our kickstarter, prepare issues. So tell me the where his Woobo now, is it in market? You just mentioned kickstarter, is it about to launch? Yeah. So we will kick off our kickstarter around end of 2017 and also during the Christmas season I know we sold out our 3000 units in just a month. So it was around late last year, late 2018. We’re really officially kick off the. I mean we’re really officially launched our product on Amazon and also our official shopify webpage. Three hundred thousand units in 2017 and that was after kickstarter. Okay. And last year you just got you put on Amazon. So what did 2018 look like in terms of unit sales? Yeah, we sold to another 3000 units for 2018, but we started relatively late because we get a lot of feedbacks from our co founding customers and like it turned it’s feedbacks into adjustments and the upgrades of the Beta product. What’s it cost to make a Woobo? Yeah, that’s a tough question. So actually our retail price right now is 149 bucks. We are not making too much of profit on the hardware side because we want to still make the robot affordable for all families and it’s the content in the robot that would be more valuable for the kids in the educational and a companionship sense. So there’s, am I understanding this right, that there are effectively, like there’s content in there that they can buy or. Okay. So there’s like a not premium, but you paid for the hardware and then there’s additional content. Yeah. So, so when you buy the hardware, there will already very good contents coming as free. You can subscribe to premium contents like songs and stories from our third party partners. The contents will roll out. I mean the Woobo companies roll out will always be free for the customers and we have roughly one to two new games each week. Okay. So for the third party partners, you said subscribe. Is it a subscription model where they pay every month or is it. I go in and I say, oh, there’s this really cool new Unicorn story that I want to buy. So I buy that. Yeah, it will be a combination so it will be a better deal when you subscribe because you will pay just 4 bucks. You’ll get a one month free use of all the contents, but if you really like one specific song or one specific package who can pay it like a 2 bucks to get a song or the the whole channel. Does it have like a level of storage that like can I like, can I have too much stuff on my Woobo? Yeah. So we have the local cache of roughly 50 age songs and stories that you don’t need to have wifi connection, but all the other contents are stored in the cloud so you can visit them any time where you can get connected. And so for the third parties, I’m assuming you, Woobo, the company, takes some percentage of all third party sales. What does that percentage. Yeah, so we have a revenue share deal with our third party partners. We cannot really like give you the numbers because that’s confidential in the contract. But we do want to make sure our content partners can have most of the profit. So we want to build a small ecosystem for children contents. And so at this point it sounds like those partnership agreements are kind of very one to one, like you make them. So how, how would a third party who wants to develop for the Woobo do that? So for us like first, uh, we will have, we will approach them for their existing contents already, like a songs and stories. For example, the shark sharks song from pinkfong. Yeah. Second for the interactive contents making, we are still exploring here because for us we know the future of the content will be interactive media, kind of like the black mayor during the Christmas season and we just made up the one platform for developing interactive contents using our tech team. So later we want to find what’s the best format to collaborate with content developers using our content SDK. I feel like a lot of toys purposefully create new units. So you feel like you have to get a new toy, like it’s kind of baked in obsolescence. Right? So how do you guys approach the evolution of the Woobo. It sounds like you want people to feel like they can buy one unit and continue to upgrade the software or the add ons within it and that’s enough for you guys. But do you guys consider, you know, some sort of tickle me Woobo or like you know, a different skew, a different unit itself besides the software? Yeah, that’s true. So we have different plans here. So the first plan is that recurring revenue of the digital assets. So it’s not just a songs and stories that parents and kids can’t even pay a little bit to have different facial expressions. You can have the wildlife Woobo or maybe the unicorn Woobo or maybe long eyelashes Woobo. So there will be a lot of customization and the personalization that gives them a lot of free choices. And the second part is we want to make a Woobo plush character to be exchangeable. So you can say, today I want the Red angry Woobo. Tomorrow I want to have the blue [inaudible] Woobo. So that’s why like in 2019 we will release a new Woobo model where the plush cover can be changed. How many? Real quick on that, how many units would a typical like if I’m a parent, am I buying multiple Woobos for my kids? Your kids want multiple Woobos or they just want one. From what we. So first, uh, the, the parents would need to only buy one Woobo. And for our design the lifetime, it will last for around one to two hour, one to two years. So that’s the expected lifetime of kind of digital electronics. And later we can have some further upgrade. For example, we are planning on a seven inch screen Woobo later this year so the parents can have some other upgrade options. And the third part is we also want to see the Woobo robots role as the center of a small ecosystem. For example, one of our friend’s company is making Origami robots with papers and small actuators. So want to say, okay, what if Woobo is the character guiding the kids during the make of that robot? So we want Woobo to kind of have the parents, the parents to pick what will be the next robots or the next stem tools to choose. If the Woobo is expected to last one to two years and maybe you don’t have enough time, has passed to know the data on this. What happens for a child’s mind or like temperament, if they’re replacing this companion, like do they mourn the loss of this Woobo or do they get a new Woobo and just assume it’s the same person, you know, companion. So, two parts. So first we do have some early bugs for like the kickstarter beta products and we see the customers want to repair their Woobo rather than change for one or maybe like a return it. So there is some emotional attachment. Otherwise you’re going to have to like have a talk with your kids that says like, Hey, we’re sending Woobo to a farm upstate. Yeah. Oh. Also on the other side, like, so firstly there is the emotional attachment. Sorry, I forgot that. My bad. Bad joke that was on me. Do. Do people tend to name their Woobo something or they call it Woobo? Oh, right now they still call it Woobo, but the parents can input the, their kid’s name or nickname. So that name will be appear in the story a lot so it won’t be like a well done. You finish the challenge. It will be well done, Tom, you finish the challenge. Even that simple trick creates some relationship there. Yeah. I have a question on personality. So you have an AI person who AI cofounder. Is the personality of Woobo preordain like no matter who you are, your Woobo is going to have a very similar personality or does it get kind of adjusted over time as you interact with it more. We do have that plan to provide that adjustment in the future. Right now it’s still like quite similar to each other, but we do want to evolve a little bit more. Oh, so, uh, that, that’s where I remember the last point. There it is, it’s back. So for the kids, we also want to find some shared memory. So for example, today we made up a [inaudible] story where you’ll choose your favorite hail to be Super Spiderman and favorite color to be green and maybe one week later we will remind the kid of the story we made up together. So it will be the shared story to build some something unique that cannot be replaced. Our battery is 6,000 Mah, so that’s kind of three times of your cell phone. Because we want Woobo to be always there. So in the morning Woobo can wake the kid up and during the night the kid can send to their bed and get it charged. So normally we have the power to last for three days, kind of six hour usage. Okay. One other question I just have in the back of my mind sold about 600,000 of these to date. Have you noticed any trends other than probably parents buying it for their kids or something like that, but have you noticed any trends amongst your customer base? We do see a lot of appreciation from parents who have their kids on the autistic spectrum, so that really helped them a lot for keeping their kids on how they did a routine and a kind of ease the anxiety for the kids. Talk to me more about if I’m a parent. What are the benefits that I can expect in my child’s development by giving them a Woobo? So we think Woobo is a little curious body who always have new ideas. So his role isn’t about teaching. It’s about inspiring and encouraging. So for example, Woobo can say, okay, let’s learn a new song today, or maybe you know what it’s a, it’s mom’s birthday tomorrow, let’s draw a let’s draw a red heart or maybe let’s make origami puppy to send it as a gift to the mom. So we think is here where kids, creativity, imagination and curiosity can have better support. What is the line you draw there between encouragement and active teaching and why have you drawn it? So first I think we, that’s about the experience of learning. So within theif you tell the kids you need to eat more broccoli. It’s kind of teaching, right? So it’s like a you should do something, something is right, something is wrong, but what if the case learned something through experience, they kind of learn how to deal with even some social emotional development through some role play games. So I think that’s the learn like the inspiration, the kids kind of learn what’s the right value through these games. All of these interactions. Kind of puts you and Woobo in a position of like a moral or a development compass almost. I think that’s pretty fascinating because it gives you a good counter position. Like I keep on coming back to the ipad because that’s what I see parents using most and the ipad is very naughty, not just not just cold to the touch but cold to the development of children. So I really just like, I don’t know, this isn’t really a question, it’s just like I, I appreciate that point, but I do have a question which is where does the line get drawn on too much screen time for children. So actually when we designed the product, we very carefully think about this problem, our expected usage for each day is less than one hour. We will, we don’t want to exceed, exceed that time because we think one hour digital time is enough to get kids inspired and encouraged. So if you use Woobo, you’ll find each day it will have limited contents, maybe three games, three songs and three stories. So that makes up for one hour and tomorrow everything is changed. So it both gave the kids some fresh sense of the product and also a somehow have the parents to limit the usage of screen time and they won’t need to be the bad guy there. Does that mean that there is a maximum of one hour set or if I’m a kid, can I use Woobo for two hours? I’d have to play the same games over. Okay. Okay. So it’s. There’s fresh content for one hour but that’s, that’s it. Yeah. But we also gave the parents their choice on the mobile app so they can say okay, the maximum usage of Woobo is one hour nor two hours each day and after that Woobo will be very sleepy. He’s exhausted. He played with me too much. Yeah. One follow up question on that, do you have any data or insight into what the actual like usage per day for the Woobos that are out there? Yeah. So right now from the data we saw, we observed that normally Woobo is used three to two to three days per week, weekdays more than weekends and 51 minutes per active day. Do you see any patterns in how this either helps or harms a child’s ability to relate to other human children? You need to have that one. You’ll need to jump on a single foot for 10 times maybe just to make some silly games that can. The kids can have some shared topic or shared activity. So that’s where we say Woobo isn’t here to replace anyone, it gives us some good trigger, like a what can we do as a family, for example, were made one great event is called Family Trivia night. So we said, okay, on Tuesday from eight to 12 you can enter this specific access to Woobo trivia night when you go through all the 13 challenges you can post the ends of the screen on facebook and we will release, we’ll send some Amazon gift card to lucky ones. Okay. And around 50 percent of our users participating in the activity and they send not only the screenshot they send all the family members holding up Woobo in their hands and the comments were thanks for a very meaningful and hilarious night. Like we learn something together as a family. This might be a little personal, but do you have children? So where do you come up with these ideas? So I think why, why seek for new ideas? I have kind of this superpower to channel back to the child. Where I was. Because I remember when I was a kid. I didn’t have much toy, but uh, I know how to make Origami. So I’m in some origami frog that when you push it, it can jump, right? So that’s the interaction. And you make stories like a frogs fight with each other. So that’s where we think inspiration and encouragement is more important than teaching. So exactly. To answer your question, why don’t we guide the kid to draw something. It’s like a. it’s not like you need to draw a turtle like this or that. This like, okay, let’s imagine some monster. This monster has three hats, one triangle, one a rectangle and a circle one, it can be green, red or blue and you’ll see all different drawings from all different kids. So that’s where we think is more about encouragement and creativity rather than teach the exactly teaching the kids how to do our what to do. So you mentioned earlier, you know, when investors talk about this, they want to know what problem are you solving? Obviously you’ve been able to convince investors of the viability of this product, this unit of $7,000,000 or so raised capital. How big is this opportunity for Woobo and how do you quantify it? So I think we’re entering into a very interesting area because for the past few years we saw the rapid development of AI right? From Siri or Amazon Echo and then maybe Jay, Bill and cosmo. But when we take a look at artificial intelligence, whereas trying to see how can it be useful as a tool or maybe as an assistant, but nowadays from my personal opinion, I think we have enough information, we just don’t have someone who can take care of them and give us the most useful ones. That’s one part of the need. But we may not have enough motivation to do something. We may not have enough inspiration of what to do tonight. Or how should I spent some time with my kid? So in that case we are just providing some, some help on the motivation, emotion and inspiration and I think that might be the emotional part of artificial intelligence that might be having even much bigger potential. I want to take us back to kind of where we started this interview, which was our good friend Furby. One of the things as I was thinking about Furby that just didn’t work was the voice. So it was so annoying and so screechy that I think it like turned a lot of people off the Furbies and I still have that voice in the back of my head from like screeching in the back room. Like I said earlier, how did you kind of come up with or perfect the Woobo voice? So I think the technology part really plays a very important role here we’re training our own speech synthesizer algorithms so that we can, we can have even different voices. Some kid might want some more girlish voice or maybe it’s, I’m more low and tough voice so we can get some voice samples from our collaborative collaborative voice actors and also we can even provide more samples based on these data. That’s great. So you know, what do you, what do you see Woobo doing the next year, two years, three years? What’s the future for Woobo? Yeah. I think for an extra while, two years as a startup, we need to be very down to earth. 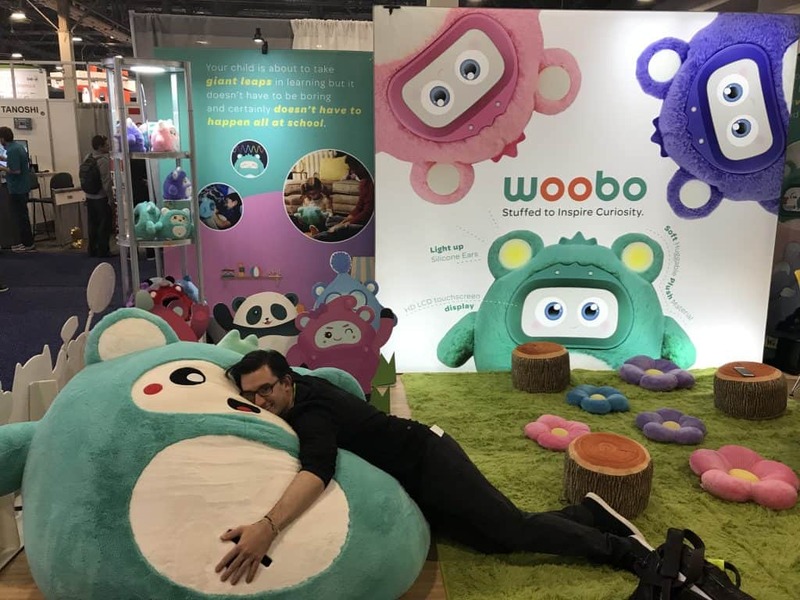 We need to sell more Woobos and to bring Woobos into families and kids. But I think for two or three years we want Woobo to be kind of providing some inspiration for daily life and it’s about, okay, what should we do tonight? Uh, as a family, they can be the family trivia night, it can be the dad learning some silly dance with their little girls. So we will be providing these assets or maybe providing these encouragements, but maybe five years down the road we want to see the real potential of digital life. Maybe it’s a digital path, maybe I can even move around and bark at you and may have different personalities for different user at who or how. It’s only emotion. So sometimes its tongue, sometimes it’s very like a happy. So yeah, there are really a lot of fantastic things to explore. I know that Boston is a big robotics hub and you’re in Cambridge, so similar Boston Cambridge, I’m just gonna call it all Boston for now. Did Woobo have to be made in Boston or could it have like is there a reason that Woobo is succeeding in Boston? Yeah. So, so first time, like a huge Bostonian. So I really love Boston. I think one, take a look back, Boston is really the best place where Woobo can happen because it’s not just the technology where we have MIT, right? It’s also about design where RISD is only one hour drive. Where education we have Harvard, so it’s a lot of different talents. It’s not just the technologies, all the expertise combined together that you can make Woobo happen. One inspiration why I made this startup was there was a interview for ideal. I remember of that shopping cart is a bunch of engineers, even psychologist and social experts, they form up a kind of a GI Joe team to make a wonders happen, so I think Boston do have that kind of atmosphere and a Boston also has, I don’t know whether it’s. It’s right to say it. Boston also has a kind of slow tempo that can give time and patience to a little bit longterm projects. Great. Thank you so much for being on the show. If people want to learn more about you or about Woobo after the show, where should they go? They can visit our website. It’s www.woobo.io, so that’s our website. They can also follow us through facebook, twitter, instagram. Great. Thanks so much for being on the show. Everyone. We’re here at CES and today’s podcast is brought to you from the blue microphones podcast suite at CES 2019. You probably know blue from their best selling Yeti mic. That’s all over the Internet. In fact, Jay and I built upside on the back of the Yeti mic this week at CES, Blue is announcing the ember. It’s a new studio, xlr microphone for professional recording, youtube production, streaming and podcasting. It’s 99 bucks. Blue offers a full range of premium USB and Xlr studio mics, which are actually recording with today from podcasting to youtube to music. If you’re a storyteller, blue wants to help you amplify your voice. Visit bluedesigns.com to learn more. Alright Eric, we just spoke with Feng of Woobo. A lot of places to go with this, where do you want to start today? I think let’s start with our. Well, let’s start with my bad Chinese at the beginning that he so graciously commented on it saying it was very good. I try to say you’re very smart and I stuttered over it, which made me sound very dumb. It’s been a while, Jay. It’s been a while since I’ve spoken much Chinese. Well, he’s very smart. He went to the MIT of China and he went to the MIT at MIT, so he’s a smart dude. For sure. I loved that he spent some time talking about what is like being at MIT and that was obviously because I asked it, but I can’t imagine what it’s like to spend several years, enough years to get a advanced degree around the type of person that he has to be around at MIT and what was the university in China? In Xinghua got to be an absurd group of people. He’s got to be intimidating. Multi-agent synchronization, nonlinear control, machine learning and robotics. I’ll just call that robot stability because I have no idea what half of those words mean. And I wonder, you know, if someone were to give you Feng’s background and pedigree and say this man as an entrepreneur, what do you think his company is? You probably wouldn’t have guessed that it was a child’s toy. He called it smart, smart Furby not us. Yeah, wicked smart Furby there in Cambridge. We went to the Woobo booth and we saw the Woobo. We played with it a little bit. It is very huggable. It is. It’s very comfy. They had a mini Woobo there and they also had a snorlax sized Woobo, which was so awesome. I could have fallen asleep right there. 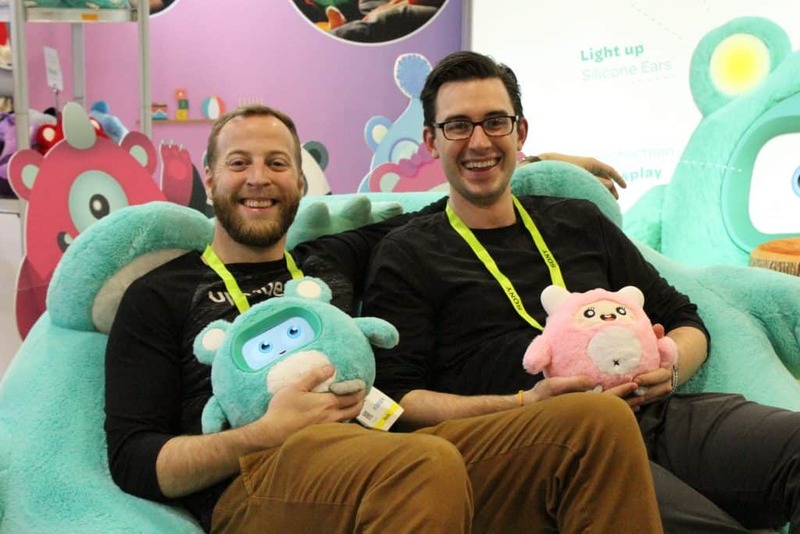 After doing four hours of interviews and just being like mentally stimulated from walking around CES, you get a little tired and that, that snorlax size Woobo that it was super plush and super comfy. I could have fallen asleep for sure. So something that’s struck me from this interview, Woobos a little bit further along than a lot of the companies on our show. They’ve had about $7,000,000 in funding. They’ve sold 600,000 units, which really took me off guard and surprised me. Feng is such a humble guy that seems to downplay a lot of the success they’ve had so far. I don’t know anything about the child’s toy market, but it seems outside of our normal company that comes on here, it says we saw a problem, we’re solving the problem. A lot of child’s toys are not necessarily solving a problem. That being said, Woobo seems to be taking on a little bit of a social need for children. Right. It’s almost like this idea of like Woobo as a moral compass seems to exist in the company and there is a problem out there. I think we brought it up in the interview, which is this idea that kids are just on their screens so much from a super young age. Like I gave the example of parents just handing children ipads. I think that that is a real parenting solution. We talked about it in the Bark episode, we talked about it in this episode and because of that there is a lot of screen time for very fragile brains and development. Yeah, the tagline, they have smart and goofy always together. I’ve noticed as I grow up a growing trend of loneliness in myself and people around me, just people in general seem to be getting more isolated and loneliness is talked about more and I don’t know if that’s an actual trend as time is passing or if it’s just an awareness that I have as I get older, but if it is a trend that is happening, I wonder if it’s happening in children the same way that it’s happening in adults. That’s an interesting question and is is this a solution, I guess to that potential trend? It would have to be. I mean if you’re using it as a solution to that trend, as a parent who’s buying the toy, you would have to be aware of that as a threat or an issue and buy it for that reason and I don’t know if that is the buying behavior of parents. I think it’s probably more, I mean they’re probably saying like this is some level of companionship, the same way that they say the ipad is some level of companionship or can take attention, but I’m not sure. You know what, what came to mind for me during this Woobo interview historically in this podcast, most things we talked to, I have a little bit of background insight into where I can, I can kind of get, but this interview brought to me the idea we hear from a lot of investors where they don’t invest in stuff they don’t understand. This is a market that I just don’t understand and it would be hard for me to get into an opportunity like Woobo personally because I just don’t understand that market. Yeah, I get that. I think I can kind of understand it. If I think about who the customer is, right? The customer isn’t the child. I mean it is in the long run. You need the child to want this thing, but the customer is the parents, so why is the parent going to buy this for a child versus the newest Barbie doll or the newest Lego’s. Man, I am such a nineties kid that I went with Barbie and Legos, but why? Why are you going to go with that? I think parents choose Lego’s because it stimulates creativity, right? That’s why Legos has kind of taken off is that it’s seen as a toy, but it’s seen as a toy that benefits the child. Whereas parents don’t like buying Xboxes because video games have this connotation of being of like deteriorating a child’s brain. So if you’re looking at a toy and this toy is marketed or thought of as inspiring children to be better. So inspiring them to brush their teeth, inspiring them to be creative and explore new universes and play games that are good for their mental health and I think that that. It kind of reminds me of the book nudge, right? I think that’s what Woobo’s trying to do is they’re trying to take human behavior and nudge you into doing things that are good, so understanding the psychology of a human and nudging you into doing the right thing. So one example they give in the book nudge is for adults in your company enrolling in a 401k program that say starts at one percent of your salary and every year it goes up point five percent or every whatever it is, but it’s automatic because you say to yourself, Hey, I want to put away six percent, but if you just have to opt into six percent as an increase or one point five percent of the increase, you probably won’t do it, but if you elect one time than your savings rates are just going to go up because you’re going to like. It’s just something that you’ve already preprogrammed into yourself. It’s not a decision you have to make in the future. So smart things like that opt in, opt out, setting things up front. They’re automatic. I think that those kind of nudges are what is present in Woobo where it’s taking advantage almost of the human brain for a good outcome. The hard thing for me to marry as far as like concepts that go together, smart and goofy always together. Also though expected usage of one hour per day. Also expected usage of two today, two to three days per week. So I’m trying to understand what he means by all those things. It seems like he’s probably saying this toy is in the vicinity around the child all day, but they’re actively communicating with it or using the screen less than an hour and in those times they’re trying to get this nudge behavior. Is that your understanding? Yeah. It’s almost like I had trouble with this as well. The two to three days thing is what shocked me more than the one hour because I could see a world where. I mean children’s brains are like, they have so much imagination that the Woobo doesn’t have to be on for them to be interacting with it. Right. Like lego’s aren’t on. Barbies aren’t on, but children’s still play with them for hours on end so you could play with the oboe and maybe you went on like a magical adventure last night and you recreate that magical adventure with the Woobo in real space, but to me the two to three days was a little bit more shocking and a little bit more concerning because I would expect it to be turned on for about an hour every day. If it was an all together thing and I don’t know what the cause of that disconnect is between two to three days and seven days a week. And this is also where my knowledge gap is because I watch my nieces and the plethora of toys they get for Christmas. I mentioned this in the interview, one of my nieces had a super grover toy that she played with all the time and then inevitably it falls by the wayside and there’s some other toy. So as a toy company, as Woobo, how do you continue to build that relationship? And if it is something where it is a companion, then I’m really interested to see what is the human behavior of the children human behavior when Woobo breaks or they need to get a new Woobo, what does that mean to them? It’s just something I’m unfamiliar with and hard to understand long term what the opportunity is for this toy. Is it something that they only need the kid to care about for the one to two years before it needs to be replaced or you know, what is, what does that strategy as far as obsolescence goes and repeat buys. Right? Can the Woobo he talks about it like a talking puppy. That was the initial idea, right? So puppies die during children’s childhood and parents make up stories about why the puppy went away or whatever. I think that one thing you have a benefit here with Woobo is that it’s a software, so if you are getting a new Woobo or your second Woobo, you could have it tell a story to the child about where it went and why it’s a different color or why it sounds a little different or whatever. Like if you knew that they had a V1 and now they have a V3, there is the opportunity to spin a story there to the child from the Woobo, not from the parent that can be like preprogrammed. Sorry, I had to go away because it’s in Wooboland. We have like birthdays every two years and it’s a little different and like whatever, you know, like. So I disappeared and I might do it again in the future and whatever. So I think that that, that point isn’t. I mean it’s interesting from a behavioral standpoint, but I think it’s solvable from a software standpoint and I think your question about staying fresh over time gets to one of the areas that I’m most interested in with Woobo, which is this platform of apps. Before we dive down that rabbit hole, something else I’d love to get your take on because it’s in the realm that we’re about to leave. I think where my knowledge gap came from and what I’m trying to close right now, most of the companies we’ve talked to on the show, their product is solving some job to be done by the customer and the customer is looking for a solution to some problem they’re going to find and purchase one solution and that is what that company is selling in the children’s toy market. That’s not necessarily true because your customer already bought a toy. Toy A over here does not preclude them from also buying the Woobo, which I think is something to consider in the market that we don’t typically consider. That’s a fantastic point and something I haven’t really thought about with our past show guests is that they’re all going for you can’t buy substitutes of them and them. You need to just pick one. Right. Which is why I think I was surprised by the traction in Woobo initially because those traction number 600,000 units, it sounds like a lot, but their market is naturally larger. I think because it’s not a winner take all market and the children’s toy market. There are some fads that pop up that die out and I think you’d want to avoid being a fad the way Furby was probably kind of a fad and the way that fidget spinners were a fad, but a family probably has some dedicated whether they actually realize it or not, budget for toys per year and you need to be a part of that. Other toys don’t preclude you from being purchased. Right. So I think one of the benefits of the Woobo and what we’re going to get into with this platform is that it can be part of that budget over a longer lifespan because it’s smart enough to adapt to the child’s growing age with new programs, new things like an eight year old isn’t as excited about a magical fairy land as a four year old is and maybe there has to be some sort of action component or something that an eight year old would like that a four year old wouldn’t. That can evolve so they can kind of hyper target specific age groups and grow with the child. Obviously there is a cut off when you don’t want a plush furry little toy anymore, but it extends the lifespan of a product because like if I buy Legos for three year olds right there, the huge blocks that are like eight pieces and you put them together and it creates something that’s interesting, but if I buy a Legos for like 14 year olds, they are super small, super complex, 10,000 pieces really intense, right? So over time Lego has to sell you newer and newer products. Woobo just has to sell you newer and newer software which has higher margin. The software comes as part of buying the product, right? It’s $149 per unit, but the software updates come for free. At this point. The Woobo created software does. I understood that there is a marketplace that they’re developing which their partners sell kind of like an APP store, right? Where the apple apps come for free, so you get your contacts app and you get your watch app and you get whatever for free and then other people can put things on the market whether it’s ninety nine cents or it’s $10 for a family trivia night game or it’s free for like just some intro teaser that they want to like get the kids interested in. That’s how I understood the market place to work. Got It. Yep. That’s worth talking about and something you just touched on. That blew my mind. Fifty percent active participation in their events that they sponsored at a very specific time with Woobo users. That’s crazy. High, crazy high. If you can incentivize user behavior that 50 percent of your users are giving you attention at a very specific predefined time. There’s opportunity there that I don’t even know how to dig into and quantify because attention is the most scarce valuable resource people have. Yeah. It’s almost like having an Alexa in your house, but instead of you only talking to it, it can also tell you things. Right? So like, hey, there’s going to be this event on Tuesday night like Amazon prime is launching this free movie and you guys should all check it out Tuesday, 7:00. Alexa hasn’t done that yet. Amazon hasn’t done that yet, but Woobo has the capacity to do that in a way that maybe other toys don’t. And I think that’s part of its competitive advantage and being part of the basket size of toys because it is naturally created to help cultivate connection between you and your family and create family time together as opposed to the IPAD. Here. Go over there and be quiet. Right. I really think that that family sharing aspect makes it such a powerful tool for parents because again, going back to if I’m a parent buying this, I’m happy because it’s going to help them brush their teeth and help them get to bed and it’s going to instill good habits and spark creativity, but it’s also going to give us a platform to connect. So whether we’re playing a mad libs game or whether we’re playing some sort of like trivia or sing songs or whatever. It’s a center counsel for play between parents and children and it doesn’t have to happen all the time, but it’s always, it’s a nice thing rather than be like, Hey, do you want to play Jenga again? Yeah, and it’s. It doesn’t depend on the parents to come up with that differentiated play. It’s like we’re gonna give it to you. Right, exactly. And parents are tired and there’s only so many games you can come up with and somebody that you were taught by your parents and I mean you could probably read pinterest for a bunch of them, but. So we talked about Feng as a intelligent individual. Did you have any takeaways from him as a founder, as an entrepreneur that you wanted to talk about? I guess just kind of the same general takeaway I have from academics is when you have lived in the world of academics and that’s all you’ve known. I think it’s a hard transition to go to commercial. Now Feng is a little bit further along than Sherry, who is Sherry from Gino Palate, who’s the last person we talked to who is a pure academic before going commercial and he is a seen success to the tune of 600,000 units sold, whether it’s via kickstarter, via retail, so I’m less concerned about that, but I have a natural hesitancy with academics in their ability to be super gritty. Yeah. I would say successful entrepreneurs that were formally academics is not the majority of successful entrepreneurs. Which isn’t to say that they can’t be. It’s just my natural like connection. The narrative fallacy in my head like goes immediately to that and I didn’t get anything from Feng that said, oh, he’s not willing to get his hands dirty or whatever. It’s just, it’s just something that I maybe have a bias towards and I’m just calling out. Something that we benefited from from CES that we don’t normally have. We talked to Feng. We also met some of his team and saw them working as a team at the booth and coming when we’re starting the interview, taking photos. It seemed that they had a good team chemistry, it seemed that they saw and respected him as a leader and were enjoying their time there, so very small dataset to deal with, but in what we could see, it seemed like he was an effective and good leader. Yeah, I would agree with that. And their marketing was on point that from the website to anywhere it’s mentioned to the booth itself, like everything was put together really well. So I think that that level of coordination shows like either he or his team has a great capacity for coordination. So looking forward six, 18 months here. Eric, what are you looking for from Woobo? So kids are jealous little buggers and I want to see what penetration rates look like for Woobo because as more and more kids get Woobos, more and more parents are going to talk about their kids’ Woobos and how great they are and more and more kids are going to see their friends’ Woobos and ask their parents for Woobos. So I want to see penetration rates on a localized level. I don’t know if they have the ability to see that, but in markets where they’re hot, whether it’s Boston or they get a hot like fort worth, Texas just like blows up. That’s kind of what I want to see is I want to see some like non dispersion of Woobos, but some key areas kind of take off because that’s how I think in the toy space you’re going to see a lot of growth is, wow, this got really hot in one spot and then just blew up and expanded. Yeah. If smart and goofy always together holds true there, should it be some natural virality in the product gets it’s highly visible if the kids always carrying it around and. Yeah, you’re right. I mean that’s, that’s been the strategy of children’s clothing retailers for a long time. It’s like, let’s get this on the influencer of the, the cool kid and see how it picks up with other other kids. Uh, I’m in a similar place to you. I think you were more specific and articulate about how you’re looking for that. But a shadow that I had that Feng brought up, they sold 300,000 units in 2017 and they sold 300,000 units in 2018. That’s not a growth trend. So what does 2019 look like? And we can extrapolate a little bit, we can see, we can compare the first six months to the first six months to years prior to see how that’s going, but you want to see that growth or you might be looking at a fad and I don’t think you want to be investing in what turns out to be a fad. One thing I want mentioned on that point is that if you look at just the unit sales, then it does look like a flat line. But I think if we looked at the actual revenue, it would look a little bit more uptick because in 2017 they had a kickstarter which raised 200 plus thousand dollars. And if you committed to that kickstarter, you got either 50 percent off the retail price. You got a free Woobo. So I think the revenue numbers in 2017 are lower than the revenue number is in 2018 though the same units were sold. I think they’re per unit price increased because of that fundraising initiative. Alright guys. Well, we’d love to hear your thoughts on this episode on Woobo, on anything you know about the children’s toy market. You can tweet at us at @upsidefm or email us hello@upside.fm, and if this episode seems to be a good fit for some friends of yours who have kids, send it to them, see what they think about Woobo and give us that feedback. We’d love to hear what some parents have to say about this opportunity in this toy. Otherwise we’ll talk to you next week. That’s all for this week. Thanks for listening. We’d love to hear your thoughts on today’s guest, so shoot us an email at hello at hello@upside.fm, or find us on twitter at @upsidefm. We’ll be back here next week at the same time talking to another founder and our quest to find upside outside of Silicon Valley. If you or someone you know would make a good guest for our show, please email us or find us on twitter and let us know and if you love our show, please leave us a review on itunes. That goes a long way in helping us spread the word and continue to help bring high quality guests to the show. Eric and I decided there were a couple of things we wanted to share with you at the end of the podcast, and so here we go. Eric Hornung and Jay Clouse are the founding partners of the upside podcast. At the time of this recording, we do not own equity or other financial interest in the companies which appear on this show. All opinions expressed by podcast participants are solely their own opinion and do not reflect the opinions of Duff & Phelps LLC and its affiliates Unreal Collective LLC and its affiliates or any entity which employ us. This podcast is for informational purposes only and should not be relied upon as a basis for investment decisions. We have not considered your specific financial situation nor provided any investment advice on this show. Thanks for listening and we’ll talk to you next week. Feng Tan is the co-founder and CEO of Woobo. Feng is a graduate of Tsinghua University with a degree in Mechanical Engineering and Robotics. He also received a Ph.D. in Robotics from MIT. Woobo was founded with one goal in mind: to bring children’s imaginary friends to life. By using cutting-edge robotics and AI technology, Woobo provides all children with a smart companion who can talk, amuse, inspire, and grow alongside them. Founded in 2015, Woobo is based in Cambridge, Massachusetts. 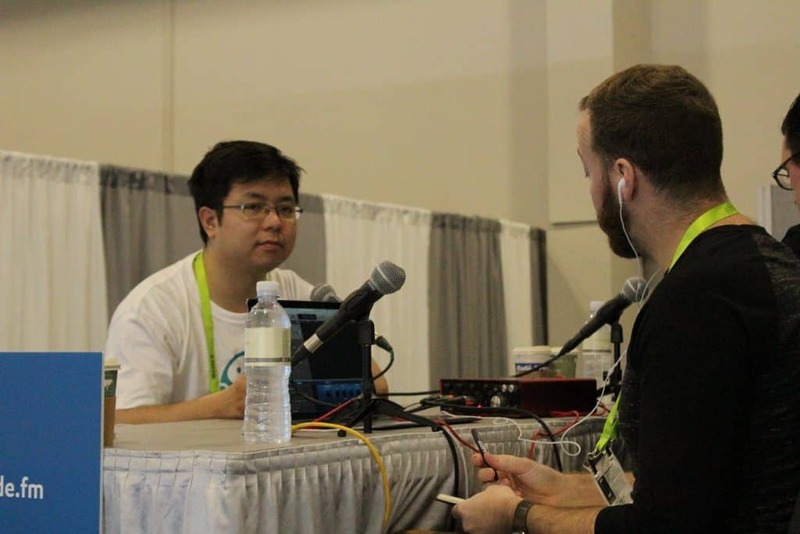 This episode was recorded at CES 2019 in Las Vegas, Nevada.